Smoking is a habit that is very difficult to break but yet possess a very damaging effect on the body. It is the major cause of cancer to all part of the body especially the lungs. That is why it’s written on the pack of cigarette that smokers are liable to die you. Today we want to exploit the hazard one causes to the body when they smoke after meal. Smokers have great urge to smoke after every meal. They says it helps their digestion system, one said his balance diet is solid, liquid and gas, meaning without cigarette his digestion process is not complete. But this are believes for smokers to attend to the huge urge of taking cigarette after meal. This is absolutely incorrect. Taking a stick of cigarette after meal is equivalent to taking 10 sticks of cigarette. That act damages the entire body. Taking cigarette after meal increases ones chances of risking life to bowel and lungs cancer. Nicotine from cigarette has the ability to bind with the oxygen in the blood which is easily absolved by the entire body. The best way to reduce cigarette is to stop completely because cigarette intake after or before meal is very disastrous to the body. Social smoking or chain smoking is not encouraged. The time one smokes (Some do it early in the morning as soon as they wake from bed, they call it morning glory). The reasons why one is smoking at that moment. Could be because I just finished a meal, I'm stressed with work, I'm having fun, I'm drinking alcohol etc. The urge of lighting up on a scale of 1-5, 5 for huge urge, 1 for little urge. 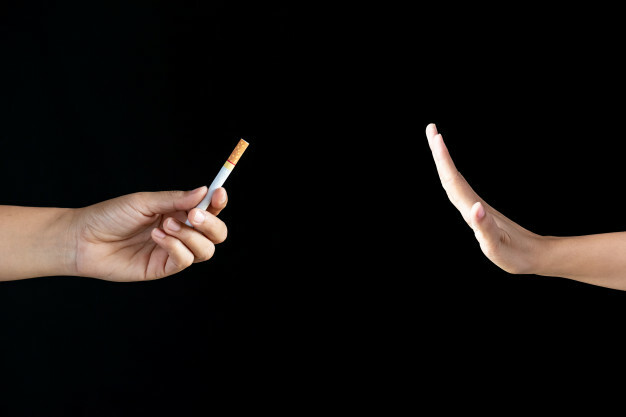 One could make a predetermine effort with knowledge acquired to say no to the thoughts of smoking after daily routines. I'm not saying one should resist the urge a few hours then later satisfy the urge, I'm saying one should deliberately say, "I know smoking urge would come now, but I won't give in". Then one could count the number of cigarette taken daily and compare it with the urge of taking cigarette for 3 weeks, if one notice the number of cigarette intake daily reduces for that period of 3 weeks, then one is making progress to breaking free. Maybe with time, one should be counting days of no cigarette intake, before one could claim freedom from smoking.